Mihai Apan started practicing karate in Romania in 1977 while in college, where he studied mechanical engineering. After graduation he opened his own karate club and taught and studied karate during a period under a Communist regime that considered such practices an illegal activity and punishable by imprisonment. In 1990, he became one of the founding members of the first Romanian Martial Arts Federation. In 1991 he moved to the US continued his karate training first in Minnesota where he first met Sensei Hidetaka Nishiyama. 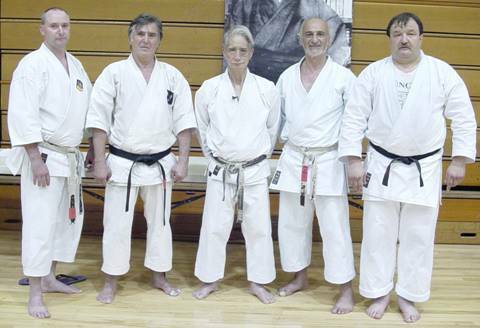 He then moved to Chicago in 1992 and started his training as a student of Sensei Shojiro Sugiyama and continues to actively train with him today. He has participated in numerous Regional and National Championships and was team National Champion in 1998. Most recently, he was a member of the USA National Team in the World Fudokan Shotokan Karate Do Championship, in 2005. 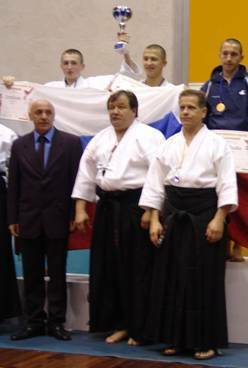 Mihai Apan is ranked as an International Judge and is currently Vice President of the US Traditional Fudokan Shotokan Karate-do Federation and General Secretary of the International Organization. In addition, he holds affiliations with the AAU (American Athletic Union) as member and judge. Mihai Apan also is an active member in the Miyoga Kendo Club, which is affiliate, with the All United States Kendo Federation (AUSKF) and the Midwest Kendo Federation (MWKF).